Discussion in 'Z3 Roadster & Coupé' started by Barry Gadd, Jun 28, 2014. The grille mesh is looking very tatty on the 2 door card speakers. How do I remove these? Do they just prise out or do I need to remove the door cards? If I remember correctly they are screwed in from the back side of the door cards, so you will need to removed them. Been a while since I had the door cards off though! Door card removal isn't the worst job, as long as you take your time and apply pressure in the correct places. 1 x Torx driver or medium Phillips screwdriver depending on what's holding your door trim on! 1. Remove the external mirror switch by carefully prising it up with the small flat bladed screwdriver and pulling it out. 4. Pull the door trim away from the door by removing the push fit fasteners around the sides and bottom of the door (use the large flat bladed screwdriver to lift the trim and then get your fingers in and pull either side of each fastener). 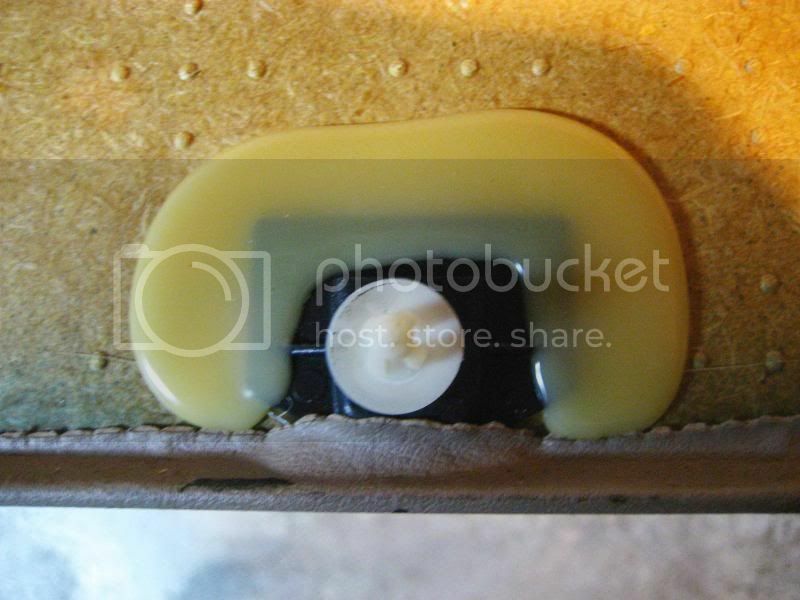 Be careful doing this as they are plastic fasteners on a wooden board and break quite easily. 5. Remove the door trim by raising it at the front first and then progressing to the rear. As you pull the trim away from the door remember to disconnect the speaker wiring. I'm going to have another attempt to get Nellie through the MOT next week. One of the fog lights is bust but I can get a replacement on Ebay without spending a fortune. Are many people going to the show in Bristol in August?? If the car passes the MOT I'd like to attend. and then used a flat forked plastic prying tool made for removing trim. With the card off, I found one speaker had broken from its little mount in the plastic grill mesh, so I ordered another speaker (comes with mount). I did not need to remove the grill, but I think one end snaps in and the other has a screw. I used this occasion to remove the plastic membrane, lube the plastic window sliders, replace the rubber gasket under the outside door handle, clean out the bottom of the door and the drains at each end, re-adhere the foam cups protecting the door pulls from water, and replace the plastic sheet membrane with the later rigid foam membrane. In reinstalling the card, I noticed that the upper end of the door pull was loose. 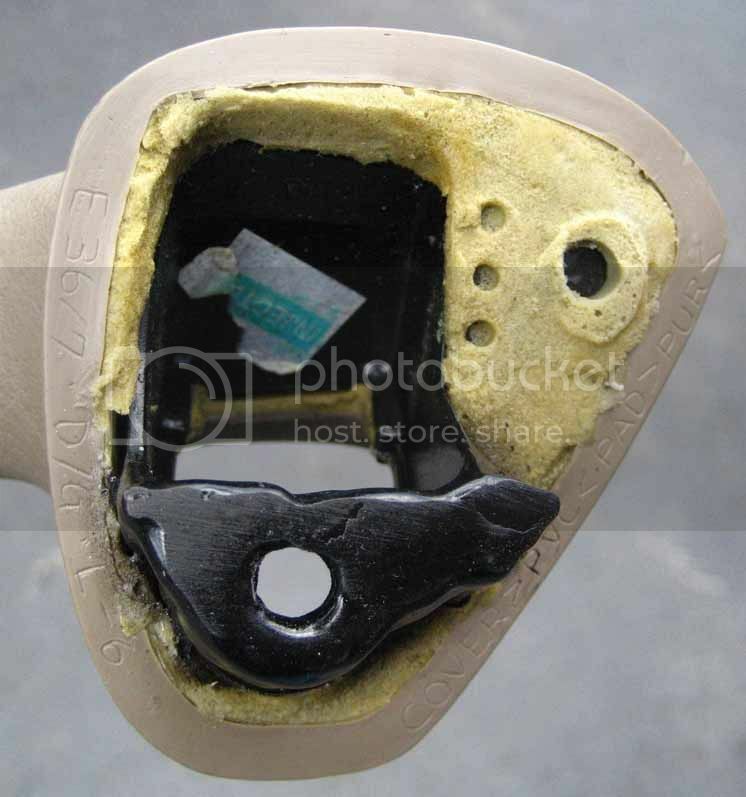 The base of it's screw mount was broken, and the plastic post with its melted flared end was also broken. So I ordered and new door pull and installed it, and repaired the old ones' base with epoxy which won't be as strong as new. The plastic post from pull to panel will have to be replaced by a screw from panel to pull, if and when the old pull is used again. When replacing the card, coat the rubber gasket across the top of the door with silicone (clear dielectric grease). The card will slip in easily, and also remove easily the next time. The mesh grilles are held in by bent tabs, you will need to pry these up to. Remove from the holder. Door cards will need to come off and the tweeter housing unscrews, use a plasticote type paint. ive been lookin to do this myself, have had the cards off but for window reg slider clip change was thinking of spraying the speaker mesh with satin black, anyone any other suggestions? was thinking of spraying the speaker mesh with satin black, anyone any other suggestions? That tends to be the usual option. Some people highlight the edge of the grill with a matching colour to the interior, or in some case match it completely to the interior. Depends on how much colour you are looking for! Plasti-kote Super Matt black is perfect for car trim, it matches BMW black plastic perfectly. I used this on the tweeter grilles in my Z. Cool, didn't realise you could get plastidip off the shelf in B&Q. It's not plastidip, it is a spray by plasti-kote, but gives a very oem looking finish.